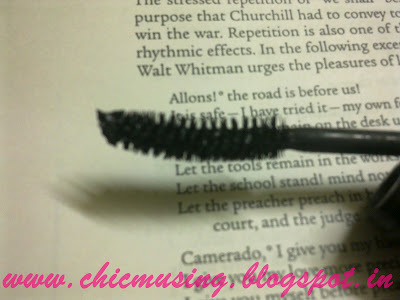 After I made up my mind to start wearing eye-makeup on daily basis, I reached out for a Mascara. It had had to be Maybelline, And so I bought newly launched Maybelline Volum’Express Hyper Curl Mascara. 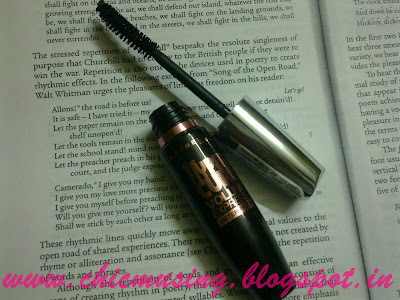 This is my second Mascara, the first was Street Wear Clear Mascara, which was a waste! I got this from Maybelline Counter in Thane. Volumized + curled lashes for 18 hours! This is one product, I don’t leave home without. 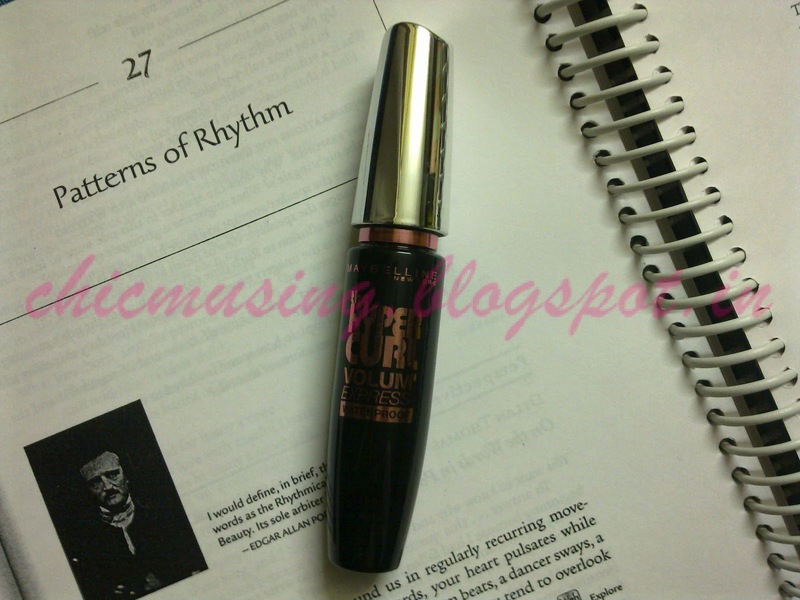 This is the Wash proof version of Volum’Express Hyper curl Mascara. Just two coats gives my lashes Volume and Length. It does not clump, even after 4 coats, I’ve never applied more coats than 4. A Cute Black and Silver Packaging, and is easy to carry. I wonder about the 18 hours longetivity, I never kept on for no longer than 8 hours. 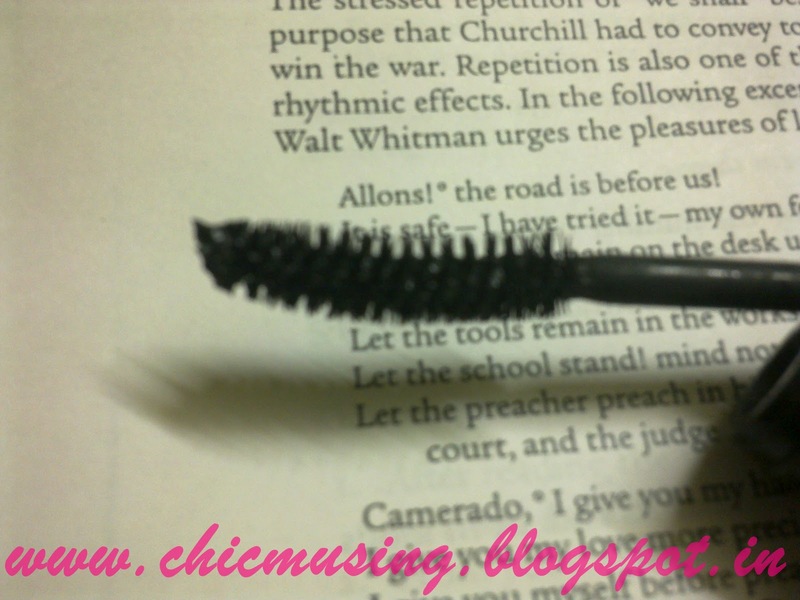 I find Wash proof mascaras difficult to remove. Olive oil did not work for me, but Vaseline Petroleum Jelly removed it completely. After Monsoon, I will buy the Washable version of this product. I don't step out, without this product pridely enhanching my lashes. I love this Mascara, It is perfect for Day Makeup. It really brightens the eyes, by adding Length and Volume and Density to Eyelashes. But What I love the most is It does not clumps, even if you layer up. This product stands up to all the claims that are made by the company. Even Availability is not an issue, is available at Maybelline Counters and Online. Will I repurchase: Yes, Washable version after Monsoon. im ur new follower :) relly like ur blog !